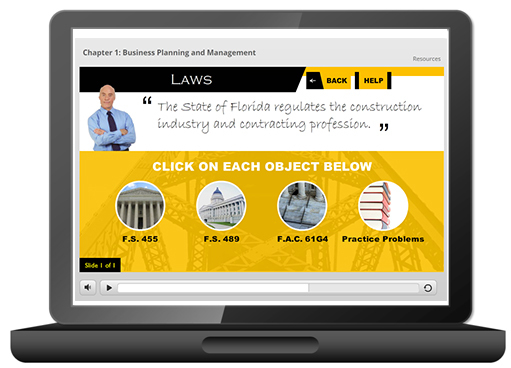 This self-paced, 1-hour online course is designed to help the practicing electrical and alarm contractor understand the more important Florida contracting laws that relate to the electrical contracting profession, such as F.S. 489 and F.A.C. 61G6. This course meets the 1-hour Laws & Rules CE license renewal requirement for ECLB licensees.